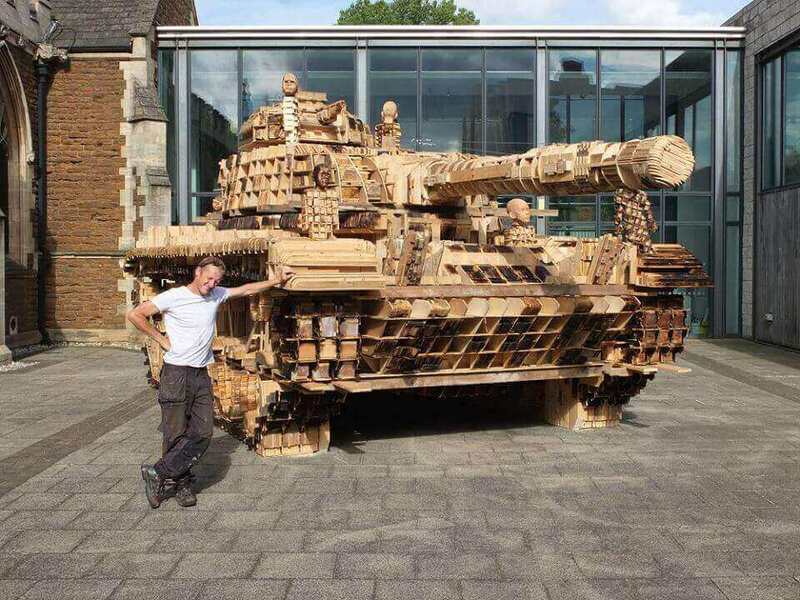 With “Deconstruction and Reconstruction of an Army Tank”, a UK artist has 3D modelled and built a US Army tank to scale. If you see a massive tank squatting in the courtyard of an art gallery, pointing it’s gun turret in your direction, don’t panic. It’s artist Peter Mountain’s ambitious new work Deconstruction and Reconstruction of an Army Tank. The tank actually began work as a 3D model. But after four years of design and 120 hours of CNC machining and assembly, Mountain has built a scale replica for exhibition. Whilst it’s not 3D printed with extruded plastic, the digital model was rendered and sliced into thousands of pieces of plywood, which were then assembled into the finished work. The tank was built in the courtyard of the 20-21 Visual Arts Centre in London, but the work didn’t stop there. As soon as construction was completed, the artist began “deconstructing” his work by lighting the painstakingly crafted sculpture on fire. The fire was used to mark the wood in charcoal-colors. This fire damage creates the illusion that the non-functional vehicle has actually seen combat. You can see the time lapse for this impressive work below. The inspiration for the project was iconic photography of children climbing on an empty tank during the Arab Spring in Libya. 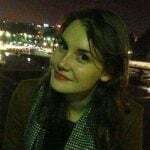 Using this photo as a springboard, Mountain applied his years of research with Salford University’s Department of Virtual Environments to recreating the scene using video game design software. He then translated this into reality in his new sculpture. The project, Deconstruction and Reconstruction of an Army Tank, has only existed as a virtual object until now. It is the first time the tank has been displayed in corporeal form. By contrast to the original photos, Mountain’s model is dotted with young faces. Although the tank wasn’t technically 3D printed — Mountain used plywood rather than plastic — it’s a noteworthy approach to bringing a 3D model to reality. If you’re interested in seeing it for yourself, the tank will be on display at 20-21 Visual Art Centre until April 30, 2017. But, if you’re unable to visit in person, you can see more of Peter Mountain’s work on his website. Have any thoughts on this war machine? Let us know in the comments. 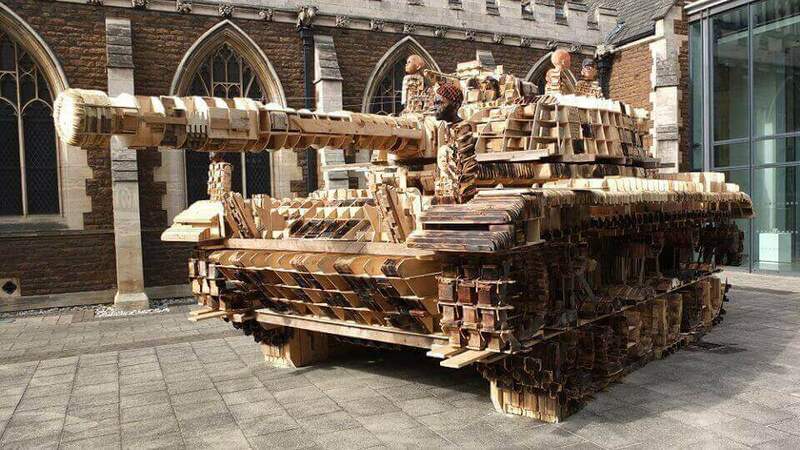 License: The text of "“Printing” with Plywood: Deconstruction and Reconstruction of an Army Tank" by All3DP is licensed under a Creative Commons Attribution 4.0 International License.